For the tenth in this regular series of quickfire author interviews, I put the 9mm questions to award-winning thriller writer Linwood Barclay. I was fortunate enough to meeting the Toronto-based internationally bestselling author when he visited New Zealand last year, and I have also interviewed the jovial and self-deprecating Canadian by phone for feature articles in Good Reading magazine (Australia) and the Weekend Herald (New Zealand). Recently Barclay was nice enough to agree to be interviewed by me once more, exclusively for 9mm and Crime Watch. 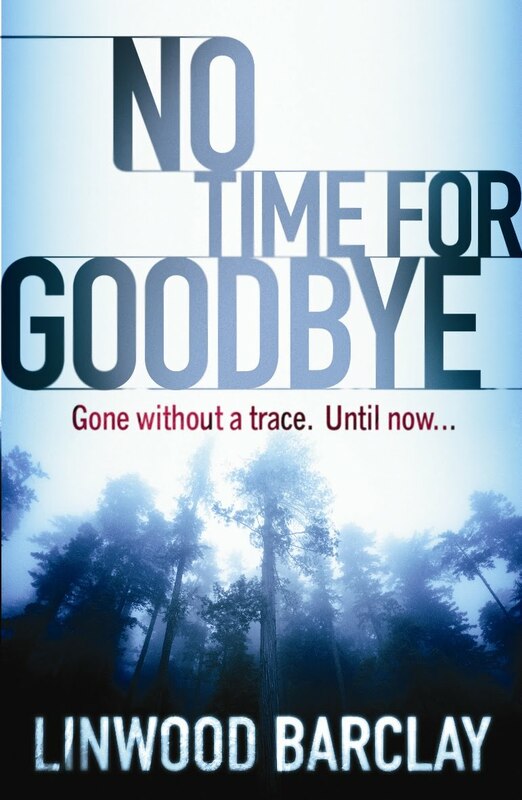 A longtime journalist and humour columnist with several books (including a memoir, humour novels, and four comic crime thrillers) under his belt, Barclay's life changed, and his authorial status went into the stratosphere after his first standalone thriller, NO TIME FOR GOODBYE, 'broke through' back in 2007/2008. The book became a record-breaking success. A German publisher nipped in early, selling 400,000 copies in translation before the book was even released in English. Then steady UK sales and good reviews turned into an avalanche when it was picked as a ‘summer read’ by the Richard & Judy Book Club. It quickly became a #1 bestseller, holding the top spot for months, was voted best summer read by Richard & Judy viewers, and eventually took the title as 2008’s overall #1 UK bestseller, with more than 630,000 copies sold. A key component of NO TIME FOR GOODBYE, along with Barclay's acclaimed follow-up standalones TOO CLOSE FOR HOME (which won the 2009 Arthur Ellis Award), FEAR THE WORST, and NEVER LOOK AWAY, is his focus on everyday characters. As I said in my Good Reading article, "He eschews the police procedural, forensics investigator, and serial killer standards of the crime genre, instead focusing on writing from the point of view of ordinary people. 'I’m much more interested in people, and relationships between people… than whether you can shoot some weird spectrum of light and pick up bloodstains,' he says, chuckling." You can read my review of Linwood Barclay's FEAR THE WORST here, and my recent review of his latest thriller, NEVER LOOK AWAY, here. I also recently noticed that (at least in the advance uncorrected proof I received for review) that quotes from both my Weekend Herald feature and my Nelson Mail review of FEAR THE WORST were included in the front pages of the Australasian version of NEVER LOOK AWAY, which was kind of cool. But for now, I'll leave you with Linwood Barclay himself. Tough one. Looking back, I would have to say Lew Archer, from the series of detective novels written by Ross Macdonald. More currently, probably Lawrence Blocks' Matt Scudder or James Lee Burke's Dave Robicheaux . Yikes. It's difficult to remember things I read as a kid, but the first crime novel that made an impression on me, and this would have been around Grade 9 or so, was The Goodbye Look by Ross Macdonald. A lot. Hundreds, if not thousands, of newspaper articles and columns. Two or three unpublilshed novels I wrote in my late teens and twenties. And four non-fiction books published only in Canada, including a memoir I'm still very proud of called Last Resort: Coming of Age in Cottage Country. Outside of writing, and touring and promotional commitments, what do you really like to do, leisure and activity-wise?Movies, walking, visiting different cities. And I'm a model train nut. My son and I have built, over the years, a huge layout in our basement. And I just love cars. I wish I could have a dozen of them. We have a great bagel place around the corner called JC's. Fear the Worst. It moves the fastest, has one of my best twists, and my favourite ending (although not all readers agreed). My first published book, a humour book about fatherhood that came out 14 years ago and which I don't really brag about, didn't prompt me to do much of anything. But my wife arranged for a ballon-a-gram to come to the door. But twelve years later, when No Time for Goodbye hit it big, I did buy a little convertible sports car. What is the strangest or most unusual experience you have had at a book signing, author event, or literary festival ?After sitting at the front of a bookstore for an hour without a single person buying a book or even looking at them, finally an elderly gentleman stopped, looked at me, looked at the book, looked at me again, and approached. He said, "Do they sell flags here?" "Okay," he said, and continued on. Thank you Linwood Barclay. We appreciate you taking the time to talk with Crime Watch. So what do you think of Barclay's answers? Have you read any of his thrillers? If so, what did you think? Do you like his style of 'domestic terror', focusing on ordinary people in harrowing circumstances? Feedback, thoughts, and comments greatly appreciated. Craig - Thanks for this interview. I love the sense of humor that's conveyed throughout. I like Dave Robicheaux, too : ).